Thaida Booker saw the red brick home in West Englewood and just had to have it. “–˜I don’t care what the inside looks like,'” she told her husband Ed Booker as they parked outside the West 64th Street ranch waiting for their realtor to show up. Inside, there was a Jacuzzi tub, a double vanity and a basement big enough to put in a pool table. At $96,000, it was a home they could afford, particularly since Thaida was the only one earning a paycheck. 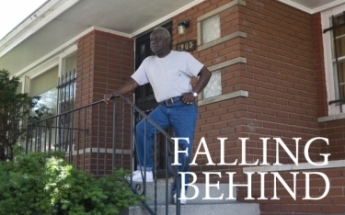 Ed, now 59, had been left permanently disabled after working 18 years for the railroad. They put in an offer and purchased the home in 2001 with a loan carrying a 6.2 percent interest rate. A couple years later Thaida was diagnosed with cervical cancer. The couple refinanced their mortgage for a slightly higher interest rate –” 6.8 percent–”so they could access some of their equity to pay off their unexpected medical bills. They thought the new rate was fixed. But it wasn’t. Thaida died in 2005. It wasn’t until after her death that the interest rate on their mortgage began to grow. What began as an $800 mortgage payment in 2005 has ballooned to $1,053 today. Next year it will be $1,425–”nearly twice the original mortgage payment–”when the rate is expected to increase to 12.8 percent, a rate more akin to credit cards. In addition, the new payment will be $279 more than the $1,146 that Booker collects each month in disability and pension payments. He’s been working side jobs and has rented a room in his dead wife’s dream house to try and keep the property but has since defaulted on its tax and insurance payments. “I said I can hang with that [new payment] until I found out what was going on,” Booker said before seeking a housing counselor. Booker is among an increasing number of homeowners who’ve made Chicago the nation’s capital for “high-cost” home loans. In 2006, the Chicago-Naperville-Joliet metropolitan statistical area, which includes Cook, DeKalb, DuPage, Grundy, Kane, Kendall, McHenry and Will counties, had more “high-cost” mortgages than any other metropolitan area in the country, according to a Chicago Reporter analysis of first-lien, conventional home purchase, refinance and home improvement loans in 50 of the nation’s largest housing markets. It marked the third year in a row that the Chicago metro area has claimed the nation’s top spot for high-cost mortgages. In 2006, just two other metro areas, both located in Southern California, came close to Chicago’s 88,315 “high-cost” mortgages. Los Angeles-Long Beach-Glendale recorded 82,325 in 2006, while Riverside-San Bernardino-Ontario recorded 76,127. No other metro area recorded more than 70,000 “high-cost” loans in 2006. In addition to comparing Chicago with other large metro areas, the Reporter analyzed more than 625,000 first-lien mortgages for owner-occupied, one-to-four family homes in the Chicago metro area during 2005 and 2006. The mortgages analyzed included home purchase, home improvement and refinance loans. In 2006, the Chicago metro area ranked first in the nation in high-cost loans to white homeowners. The metro area ranked second, trailing only the Washington, D.C. metro area, in high-cost loans to African Americans and fifth in high-cost loans to Latinos. Combined, African American and Latino homeowners in the Chicago metro area received nearly 50 percent of all high-cost loans in 2006 compared to nearly 22 percent of prime-rate loans. Even wealthy homeowners got high-cost loans, particularly African Americans. In 2005, black homeowners earning more than $100,000 a year were more likely to get high-cost loans than white homeowners earning less than $35,000. In 27 Chicago community areas and in five Chicago suburbs, mostly south and west side areas, more than half of all mortgages granted in 2005 were high-cost loans. “The Chicago Reporter’s detailed analysis of this data raises huge questions about the fairness of lending practices in the Chicago region. Over the coming months, my office will continue to take a hard look at this data and investigate whether the number of high-cost loans, which generally equate to subprime loans, is attributable to questionable lending practices and whether these practices violate any Illinois fair lending or civil rights laws,” said Illinois Attorney General Lisa Madigan.Experts say both lenders and borrowers are to blame. Borrowers are so eager to become homeowners or unfamiliar with the process that they overlook how high their interest rates are, whether those rates increase over time and if there are pre-payment penalties that will prevent them from refinancing early. In many cases with adjustable loans after the first adjustment, the loan readjusts every six months or every year and becomes too expensive to pay. Lenders typically sell the loans in the secondary market to investors on Wall Street who will profit from the escalating interest rates; higher interest rates mean higher revenues. Meanwhile, many of the borrowers are left struggling to pay the mortgages. Some eventually lose their homes in foreclosure. In May 2007, The National Training and Information Center released a report that showed that of the homes that foreclosed with its first two years of purchase, 97 percent were because of adjustable-rate mortgages, said David Rose, interim director and the report’s author. Foreclosures in Chicago had been on the decline until 2005 when the amount of foreclosures increased 36.9 percent from 2005 to 2006. Early numbers for 2007 indicate that the increase is expected to be as high from 2007 to 2008, said Geoff Smith, Woodstock research director. “You really don’t care what happens to the homeowner. You know the homeowner is going to fail. You just want to make sure not too many of them fail that it winds up affecting your return,” Rose said about Wall Street investors. But research shows that the problems of high-cost loans for many people could have been avoided had they been offered loans with better rates or selected lenders who don’t specialize in such loans. According to Fannie Mae, the nation’s largest source of financing for home mortgages, about half of the people who get high-cost loans could have qualified for prime-rate loans. The explosion of subprime lenders–”typically mortgage companies and smaller lenders that specialize in high-cost loans for borrowers with shaky credit–”is also partly to blame, experts noted. In the Chicago metro area from 2000 to 2005, mortgages from subprime lenders increased by 229 percent. During 2005, nearly two-thirds of all high-cost loans granted in the Chicago metro area came from subprime lenders. Part of the racial disparity in high-cost loans occurs because African Americans and Latinos more often do business with subprime lenders. In the Chicago metro area in 2005, about 51 percent of all consumers of subprime lenders were either black or Latino. Still, it was some of the nation’s largest lending institutions who granted high-cost loans to black or Latino homeowners at wildly disproportionate rates in the Chicago metro area. For example, black homeowners receiving mortgages from Wells Fargo in 2005 got a high-cost loan 37 percent of the time, compared with about 5 percent of white homeowners. Wells Fargo officials said they were one of the top 10 lenders to minorities in conventional, first-lien home purchase loans in 2005. “Our lending to African-Americans grew by 10 percent from 2004 to 2005,” said company spokesman Jay Lawrence. “Wells Fargo is committed to increasing homeownership for all people in Chicago and elsewhere. We know our continued growth depends on serving all customer segments across a wide credit spectrum,” Lawrence said. While National City Bank of Indiana is a prime-rate lender, half of its mortgages granted in 2005 were high-cost loans. Black applicants got high-cost products three-fourths of the time and Latinos two-thirds of the time. White applicants received high-cost loans just one-third of the time. Most of that outreach, however, has occurred through the company’s subprime operation. Black or Latino consumers accounted for nearly two-thirds of mortgages from Long Beach Mortgage in 2005 compared with just 21 percent from Washington Mutual Bank, which granted high-cost loans less than 1 percent of time. Overall in the Chicago metro area during 2005, about 29 percent of mortgages went to African Americans or Latinos. However, like with Washington Mutual Bank, black and Latino consumers accounted for a smaller share of mortgages at several of the area’s top lenders who rarely granted high-cost loans, including LaSalle Bank, JP Morgan Chase Bank and Bank of America. Of Chicago’s top 25 lenders granting high-cost loans, more than a quarter no longer exist. Finance America ceased to operate when it merged with BNC Mortgage more than a year ago. And Lehman Brothers shuttered BNC Mortgage this year due to “market conditions.” American Home Mortgage closed in August after filing for bankruptcy. Also bankrupt was Fremont Investment & Loan and New Century Mortgage Corp., one of the largest high-cost lenders in the nation. Lenders aren’t the only cause for so many high-cost mortgages, experts said. There’s an imbedded incentive system built into the mortgage lending industry and the search for profit among Wall Street investors is partly to blame, said Geoff Smith, research director of the Woodstock Institute, a Chicago-based nonprofit group promoting community reinvestment and economic development in low-income and minority communities. The incentive to give high-priced loans is too great, Smith said. The subprime market charges higher fees and interest rates to compensate for the risk of lending to people with damaged credit–”generally people with a credit score less than 700 or folks with too much debt compared to their income, Smith said. Wall Street investors found that they could make money off those borrowers. Lenders offered yield spread premiums, a type of commission, to compensate brokers for getting borrowers to accept higher interest loans–”even if they qualified for a cheaper rate, Smith said. Lenders also offered bonuses if brokers got borrowers into products with pre-payment penalties. That guaranteed money to the investors in the event the borrower wanted to refinance their loan sooner with another company for a lower rate. Illinois law allows up to three years in prepayment penalty with restrictions, but states like North Carolina, New Jersey and New Mexico ban prepayment penalties altogether. As the housing market flourished in the late 1990s, the costs of properties increased so fast that some people couldn’t qualify for mortgages on the homes they wanted. The rigid underwriting guidelines of prime market lenders, such as banks, prevented homeowners from getting good market interest rates, Smith said. But the sub-prime lenders were more flexible in their standards and gave those loans at a higher price, which didn’t necessarily reflect a person’s credit score, he said. Seaway National Bank is the Midwest’s largest black-owned bank. It does most of its lending in black neighborhoods and yet grants few “high-cost” loans, according to the Reporter’s findings. Because Seaway is a community bank, Abrams said the institution created a program offering mortgages to borrowers who provide 1 percent of the home price as a down payment. Margaret Wooten, director of the Chicago Urban League Development Corporation, said that many borrowers aren’t familiar with the terms of their loan and in their zeal to get approved overlook the fine print. Undocumented Latinos are particularly at risk because federally funded lenders, such as Fannie Mae and Freddie Mac, won’t purchase loans to undocumented workers, said Smith. Other banks or mortgage companies are available to make those loans, but often mortgage brokers in the community that fill the gap, Smith said. In 2006, The Resurrection Project hosted a roundtable discussion on predatory lending with U.S. Rep. Luis Gutierrez, two other nonprofits and affected families, said Kristen Komara, director of financial services for the nonprofit community development organization. The organization was featured in a news spot that appeared on Univision, a Spanish-language broadcast network. “We had 30 phone calls the next day with people saying I think I might have a bad loan,” Komara said. From January through October last year, the agency assisted seven families through foreclosure. Since then, The Resurrection Project has assisted 34 families, Komara said. In response, the organization increased resources for “default counseling” and Gutierrez proposed legislation that would regulate mortgage brokers nationwide. “[The legislation] hasn’t really moved very far,” Komara said. As the numbers of Latinos in Chicago have increased, so has the demand for homeownership, said Livia Villarreal, director of counseling services for Greater Southwest Development Corp. She said mortgage companies began to open up in Latino neighborhoods where other storefront businesses had pulled out. In their windows, they advertised in Spanish and promoted the fact that they could grant mortgages for people with no money, bad credit and no money down. At the same time, mortgage brokers began proliferating in the area. Mortgage brokers are paid a fee by banks and lending institutions to connect lenders to homeowners. They were often connected to people through church and other activities. The brokers, however, would get paid at the closing and were not accountable to the homebuyer. They were paid by the lenders to arrange the loans, and some were paid extra compensation, called yield spread premiums, if they could get homeowners to pay higher interest rates, even if their credit qualified them for lower ones. Those premiums were paid on top of the brokers’ regular commission and given as a flat fee ranging from $3,000 to $9,000 per loan, said Villarreal, who noted that not all brokers are corrupt. The same was happening with mortgage companies. The loan officers who worked there used the languages they knew or their familiarity with the buyers’ hometown abroad, as a way to gain trust from the homebuyer. “If you speak the language, it’s easier for you to grab that business,” Villarreal said. Brokers and loan officers with the mortgage companies would use a low “teaser rate” to entice a client, but it would not be the rate they’d ultimately get at closing. The teaser rates advertised low payments but did not include costs such as insurance and property taxes that the homeowner would ultimately have to pay. “These loan officers think their borrowers don’t know anything and they think they can get anything past them,” Komara said. In the end, the homeowners were enticed into the loans with unfavorable rates, if they felt no other options were available to them, Komara said. In some cases, homeowners accepted what they thought was a rate that would be fixed for 30 years, only to find that it would adjust every six months or every year. That’s what happened to Booker. Each adjustment led to higher payments–”an additional $300 in one instance. When Booker ran into trouble with his mortgage, a friend recommended he call Neighborhood Housing Services of Chicago, known as NHS, which provides free housing counselors. It was at their first meeting when Kathleen Van Tiem, Booker’s housing counselor, who specializes in foreclosures, immediately recognized the problem. NHS worked with Booker to negotiate new terms for his mortgage with his loan servicer. It took nine months to straighten out the confusion, which was that Booker was never aware that his interest rate was adjustable and would continue to go up. Booker and the provider were able to reach an agreement. He now has a new mortgage of $119,000 with an interest rate fixed at 6.45 percent for the 30-year life of the loan, a less expensive rate than the refinance rate he was originally given back in 2005. The agreement was the first time both NHS and this particular loan provider performed a loan modification to fix an adjustable rate, Van Tiem said. In June, Booker flew to Washington, D.C. to speak to more than 100 people as NeighborWorks America and the Ad Council launched their new public service announcement about reaching out for help when falling behind on mortgages. It’s the same group that brought Smokey the Bear public service announcements to prevent forest fires and “this is your brain on drugs. Any questions?” announcements. The new incarnation for foreclosure prevention: “Because nothing is worse than doing nothing. Contributing: Aliza Appelbaum, Marine Olivesi and Brittany Petersen. Alena Scarver helped research this article. Click here for a pdf file detailing Illinois Housing Development Authority’s “Homeowner Outreach Days,” in which mortgage loan providers, housing assistance groups and state agencies come together to help homeowners struggling to pay their mortgages. Click here for a listing of HUD-certified counseling agencies in Illinois.